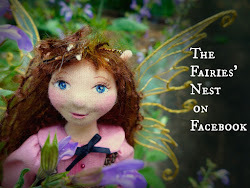 The Fairies Nest - OOAK Cloth Dolls & Fiber Fantasies: WIP Wednesday is Back! 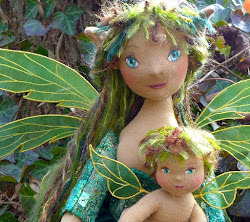 Two commission fairies are on the table in the Nest today and I can't tell you how good it is to be back to work! After getting home from taking care of Mom I thought I would be able to dive right back in, but once again life has a way of interfering with the best laid plans. First I had company, which was lovely, and then I had a run in with some unexpected gluten, which for me can be a pretty nasty business. But all that is past and it's on to doll making! Well you already have a fabulous tutorial on wings. I often come back and look at it. Maybe a tutorial on hair. I'm always looking for different ways to do hair. To be fair, Mary Ann, those are really small scissors! 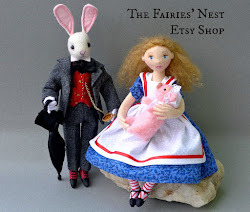 :) Those dolls will be about 12" tall when they're done. ...Because they may be watching!